478 775 1150 1155 1156 CPU. 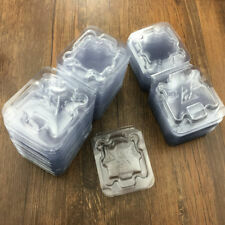 New CPU Clamshell Tray Case For. We will send you a new one after receiving the default item. The item up for sale is. All products are quality checked. To fully retract: tap the end of the baton on a hard ground (preferably a concrete ground). To fully extend: swing the baton outward with force. A tool so perfect for self defense it's even used by the biggest police forces from around the globe. We have 10 pieces available. NICE LOT FOR GOLD RECOVERY. MIXED PIN AND PINLESS PROCESSORS. Each Tray hold 12PCs CPU. Tray only, NO CPU included. If we have made an error, we do apologize and hope we can have a chance to make things right for you. Processor number L5630. 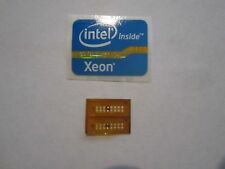 Family Xeon. Processor speed (GHz) 2.133. The number of cores 4. Maximum turbo frequency: 2400 MHz (1 or 2 cores). 2267 MHz (3 or 4 cores). Ruturn Policy. Clock multiplier : 16. Model Number: X5472. CPU Frequency: 3.0 GHz. Interface Type: LGA 775. We are committed to resolve all issues in a friendly and satisfactory manner. DO NOT send without communication. Warranty only apply on the stated warranty period products. ~2018~FACTORY SEALED Allen Bradley 1756-IB16. Apple Mac Pro Cpu Tray 2010-2012 6-core 3.33Ghz & 32Gb Fast!! There are no tools required just slide in your tray its that easy. Specs on the upgrade are as followed. Apple Cpu Upgrade Service Mac Pro 4.1 5.1 2009-2010-2012 12-core 3.33Ghz & 32gb 1333mhz. WE WILL PROFESSIONALLY UPGRADE YOUR TRAY TO A 12 CORE. THERE ARE NO TOOLS REQUIRED. WE WILL PROVIDE YOU ALL THE INFORMATION AND FILES NEEDED TO UPDATE YOUR MAC PRO AND RUN 12 CORES. DUAL 3.46 XEON 6 CORE CPU'S 16GB OF RAM. THIS IS FOR A 2009 4,1>5,1 ONLY IT WILL NOT WORK IN A 2010 OR 2012. FACTORY SEALED ALLEN BRADLEY 1756-DNB. SERIES E, FW 12.005. MFG DATE 2018! FACTORY SEALED! ALLEN BRADLEY 1756-ENBT. ~ 2018 ~FACTORY SEALED ALLEN BRADLEY 20F11ND096AA0NNNNN. POWERFLEX 755 AC DRIVE 1HP 2.1AMP 480V 3 PHASE. Series A, FRN 13.003. Relcon Inc. Mother Board R15-02-80040. For 40Hp Relcon Variable Frequency Drive, Rev 1. Cash for your surplus. 5:00pm EST (New York, NY). There are no tools required. We provide you all the information needed to upload file needed to run the 12-core CPU and then you just slide in your tray its that easy. Specs on the upgrade are as followed. ,G084SN03 - 8.4 INDUSTRIAL LCD PANEL Resolution 800x600. T084S-5RA002N-0A18R0-150FH- 8.4" touch screen. MFG DATE 2018. FACTORY SEALED! Allen Bradley 1769-L36ERM. L3 Cache Capacity: 30MB. Condition is Used. Model Number: E5 2697 V2. 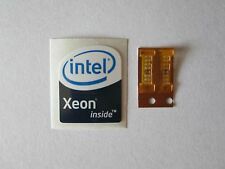 For sale is a perfect working Xeon 12 core processor! Just pulled from a working computer, this cpu functions excellent! Number of Cores: Twelve Cores. 3 fans/set for ASUS Raptor ROG STRIX GTX1060 1070 1080TI Graphics Card Fan Kit. Applicable graphics card: Asus Raptor ROG STRIX GTX1060 1070 1080TI. For HP 511774-001 ML350 G6 Server System Cooling Fan AFB0912DH 508110-001. FACTORY SEALED! 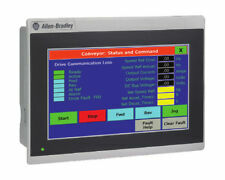 ALLEN BRADLEY 1756-ENBT. MFG DATE 2008! This steel adjustable CPU Holder is security-ready and works with a standard padlock (not included). The holder swivels and supports up to 75-100 lbs.Features: Steel Adjustable CPU Holder Security-Ready works with standard padlock (not included). Swivels Supports up to 75-100 lbs. W: 4" to 9-1/2", H: 11-1/2" to 21"For state-specific electronic recycling and disposal information, please click here. ~2018~ SEALED! Stratix Fiber Optic SFP Transceiver. FACTORY SEALED ALLEN BRADLEY 1783-SFP1GLX. COGNEX IS5400-10. VISION SENSOR 640X480 INSIGHT 5400 W/PATMAX. There are no tools required. We provide you all the information needed to upload file needed to run the 12-core CPU and then you just slide in your tray its that easy. ~ CLEAN~ Allen Bradley 1756-L73 /B. NON ORIGINAL BOX!